The culture of ancient China was divinely inspired. Shen Yun’s works reflect this rich spiritual heritage. Shen Yun invites you to travel back to the magical world of ancient China. Experience a lost culture through the breathtaking art of classical Chinese dance, and see legends come to life. To make this possible, Shen Yun pushes the boundaries of performing arts with a unique blend of colorful costuming, high-tech backdrops, and live orchestra. Be prepared for a theater experience like no other. The traditional Chinese culture Shen Yun presents cannot be seen anywhere else—not even in China. There, the ruling communist regime has viewed China’s rich spiritual and artistic heritage as a threat to its ideology, and for decades has sought to erase it. Chinese artists have suffered untold ordeals over the past century. But in 2006, a group of Chinese artists came together in New York with a vision of preserving the best of China’s cultural heritage and sharing it with the world. They drew courage and inspiration from their shared practice of Falun Dafa (or “Falun Gong,” as it is also called)—a spiritual discipline common to all of Shen Yun’s artists. The company’s repertoire regularly includes important works shedding light on the plight of believers like themselves in communist China today. Shen Yun is now the world’s premier classical Chinese dance company. Some people fly from other countries or drive hundreds of miles to see it. Others see the same performance five or six times. Why? There’s only one way to find out, and that’s to experience Shen Yun yourself. A global sensation returns! 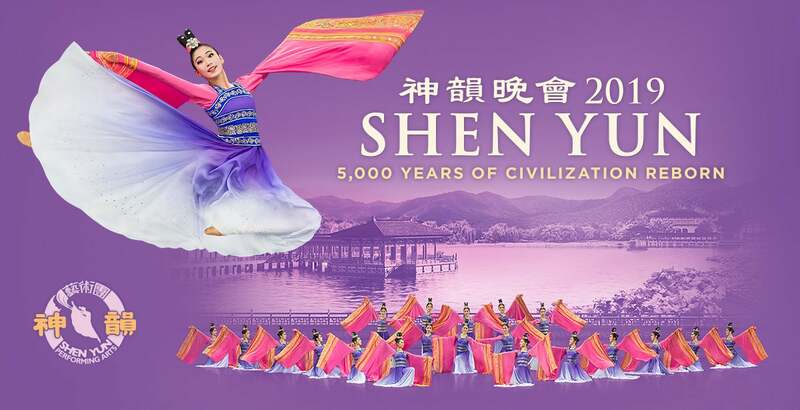 Discover the wonder of authentic Chinese culture with Shen Yun’s awe-inspiring production of music and classical Chinese dance. Business attire or evening wear. Children must be at least 4 years old.